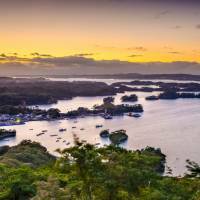 NEW YORK - In the town of Shiogama in Miyagi Prefecture, there’s a residential neighborhood overlooking Matsushima Bay, the epicenter of Japan’s catastrophic March 2011 earthquake and subsequent tsunami. On a quiet street there, chef Hideyuki Irakawa and his wife, Michiko, have been serving samurai food from their restaurant, Chimatsushima, for the past two decades. The smoky, wholesome cuisine has given fighters a nutritional leg up for hundreds of years, but now its varied flavors are tempting a wide array of locals and tourists. The Irakawas have made it relevant for the 21st century by adding touches of artistry that feel distinctive to the Tohoku region; last year, when Miyagi Prefecture celebrated its inaugural Michelin Guide, theirs was one of 11 local restaurants to earn an initial star. Tohoku, which makes up the entire northeast of Honshu, is where samurai cuisine rose to prominence in the 1600s, during the Edo Period (1603-1868). Back then, Japan’s warriors typically ate a simple diet of miso soup and brown rice to carb-load for battle. Adding textural variety and strong flavors helped encourage them to consume more grain, so kitchens of the era experimented with adding distinctive, salty side dishes: pickled vegetables and plums, seaweed, and nattō (fermented soybeans). Both samurai cuisine and the Tohoku region remain wildly under the radar. 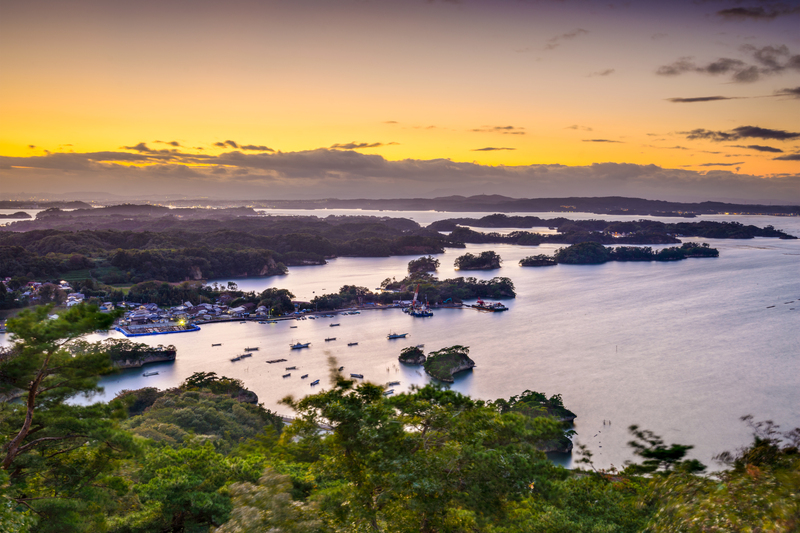 Only 1.3 percent of inbound tourists to Japan venture to Miyagi or Tohoku’s five other prefectures — Akita, Aomori, Fukushima, Iwate and Yamagata. But Michelin’s support is catalyzing the region’s reputation as a bastion for top-notch, warrior-worthy meals. The rise of samurai cuisine is largely credited to Date Masamune (1567-1636), a feudal warlord known as the One-Eyed Dragon of Oshu. In the late 16th and early 17th centuries, he was the most powerful samurai in Tohoku — but he was also known as a culinary innovator. To this day, cooks produce a strong red miso made with soybeans and kōji (a rice mold) that’s fermented and aged at a brewery near the base of Sendai’s Aoba Castle, which Date built in 1593. It’s the star ingredient at restaurants like Nacree, a Michelin one-star spot designed by Kengo Kuma. There, chef Minoru Ogata — a former sous-chef at the three-star Astrance, in Paris — uses the miso to marinade thick cuts of roasted bacon. The condiment is also a bit of a status symbol. Eric C. Rath, a University of Kansas professor specializing in dietary cultures of premodern Japan, says that because miso improves with age, it traditionally carried a socio-economic heft among the warrior class. “If you want to demonstrate that you have wealth as a samurai, you bring out a three-year-old miso — it’s like bringing out an aged Bordeaux,” Rath says. Another key element to Tohoku’s samurai diet is yukiwari (snow-breaking) nattō, which includes more salt and kōji than the traditional version. Versions of the dish have been consumed since the 11th century; it has the texture of caramel and the pungency of a stinky cheese, and is meant to fill the belly, restore warmth, and provide energy for battle. (As a side bonus, it’s also a probiotic and immune system booster.) At Chimatsushima, chef Irakawa serves yukiwari nattō with a dollop of red beans and rice — then the whole dish is garnished with gold leaf, lotus root, wasabi, ginkgo nuts, seaweed jelly, and the Japanese citrus ponkan. 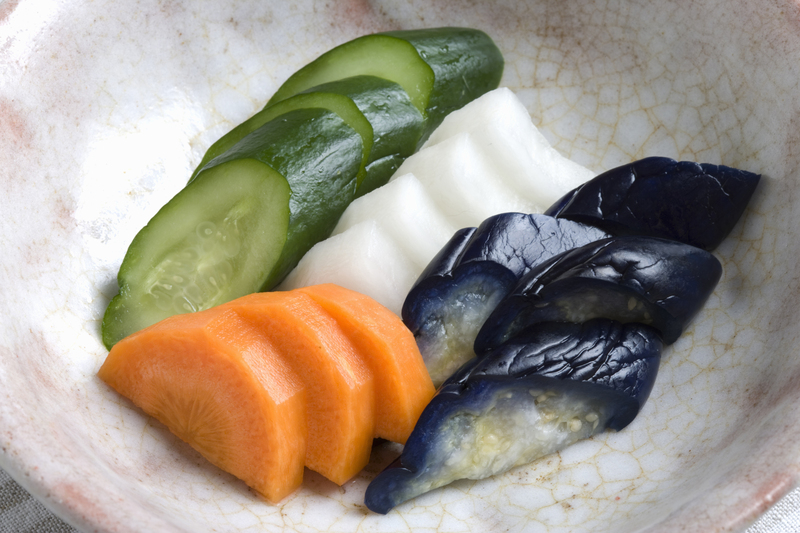 Tsukemono, or pickled vegetables, are the last pillar of a complete samurai diet. Given the lack of refrigeration, pickling helped warriors eat vegetables out of season, and the brininess and crunch helped break up the monotony of rice. 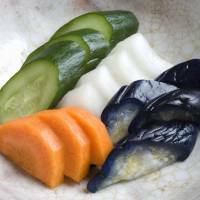 In Tohoku, the most common variety is made with daikon radish that is smoldered over chestnut and cherry wood chips, then pickled in rice bran, salt and sugar for several months. The result is called iburi gakko (wood-smoldered pickles) and tastes more homey and smoky than your typical, vinegary variety. “To some extent, a shadow of concern still remains regarding the safety of Tohoku’s food and possible radiation contamination,” Andoh says. This sentiment persists, despite Japan’s rigorous food-safety monitoring. The newfound accolades from Michelin are poised to reinforce that message. So, too, is a project called “New Tohoku,” the aim of which is to revitalize the region and welcome tourists; it’s run by a government entity called the Reconstruction Agency that’s repositioning Tohoku around its samurai culinary offerings and rich warrior traditions such as swordsmanship. Awareness of samurai cuisine is spreading beyond Tohoku. In Tokyo, the new Hoshinoya hotel was constructed on top of an old samurai house of the Sekai family and chef Noriyuki Hamada serves his food, including plenty of pickled radishes, on reclaimed wood dishes made from the former structure. At Elements, a Michelin one-star restaurant in Bangkok that features French food with hints of Japanese influence, the chef serves iburi gakko. And “Samurai Gourmet,” the wildly popular fictional series that began streaming on Netflix last year, is all about the pickled food cravings of a Japanese retiree with a samurai alter ego. “Communities across (Japan) are scratching their heads: ‘What kinds of food do we have to draw visitors? '” says Rath. “In the wake of the 3/11 disaster, accentuating the samurai connection with Tohoku foods certainly places them in a more positive light.